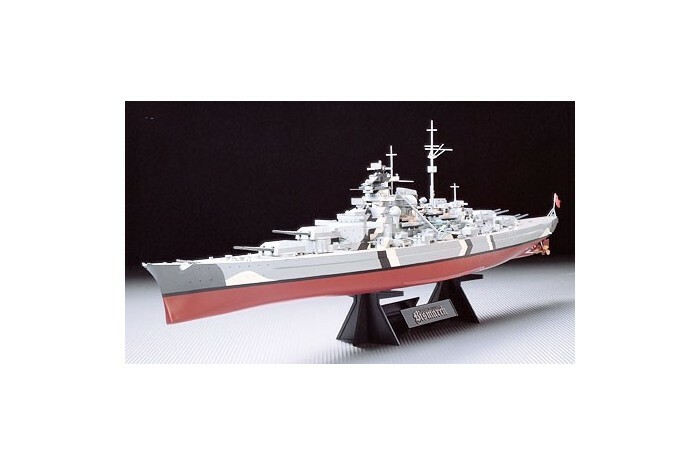 TAMIYA 78013 BISMARK GERMAN BATTLE SHIP (1/350)! The ship’s distinctive silhouette and powerful armament are all meticulously and accurately reproduced. A special display stand and beautifully crafted nameplate are also included for an awe-inspiring display.